How companies carry out TCM within their IT systems. (Detailed steps are not included) . It analyses various factors in evaluating the technology and suggests paths and parameters to successful TCM. TCM program can be seen as an investment. TCM program should have a vision statement where, they continuously evaluate new cutting edge technology, find answers to customer issues, and develop and demonstrate POCs. This will ensure that, whatever investment is undertaken by the IT division of an organization will prove to be fruitful. It adds value for the customers by providing them ‘state of the art’ technology features. It creates the product and service sector with more user-friendly approaches and provides a rich user experience. Why do you need the change? What will be the cost of the change? What will be the benefits of the change? Will it suit our requirements? What are we going to achieve, if we implement the change? Which vendor is best suited and placed to carry out the change? When will the ROI be achieved? Which other systems will be impacted by the change? The impact analysis will provide a holistic view as to whether the change should be implemented or not? It is worth spending enough time to carry out an impact analysis before making any decision. Whenever an organization finalises technology, it is worth looking at market trends. It will give cues as to whether the technology is worth adopting? To what level the technology has matured? Whether the technology is emerging or old? Answers to these questions will provide an organization with both the latest trends and shortcomings. It is sensible to go through reports from Garner, Forrestor, AMR, Butler, Delphi and Meta groups etc. It is important to identify who are the leaders in the market, and who are niche technology providers. Who sets the trend, carries it forward and who reaps the benefits? There are innovators, early adopters, early majority and laggards. E.g. SAP is leader in ERP technologies; Microsoft is leader in desktop technology whereas, BEA and IBM are competing in Java/J2EE based SOA technology. Google is competing against Microsoft on web based solution by providing Web 2.0, AJAX technology, search engine, gmail, talk, Google maps and the latest web based spread-sheets. These are all generic examples. There are many specific packages and applications. There are also specific niche players. The idea of going along with the leader is that, it should provide better solutions. There will be not only the latest features but also better support. It is also important to know, whether those features are useful to your organization and what is the extra cost you are paying to get those new features. It depends upon the business requirements. How much growth you see in the business? How much you can invest? What is the size of the business? Resilience to change starts with an attitude. It is the STRATEGY. Whether management wants to incorporate the needed change? Whether the organization would like to have the latest technology? It all depends upon the efforts, cost and what benefits it brings to the table. It also shows the dynamism and efficiency of the organization to deploy agile methodology, ready to ‘go to market’ strategy, time-boxing and speed to market. To resolve the pain area, shed off the burden and meet the global challenges in today’s world. It also can be termed as, Business Process Re-engineering. Technology should be evaluated with respect to the following 10 factors. This can be applied while evaluating the vendors and COTS suppliers. The ultimate results give us a strategic stack of IT systems. Scalability is a measure of, whether you can scale the application on multiple servers across geographically separated machines. This will make sure that, in event of expansion of the business, additional hardware capacity can be installed at multiple locations without affecting the performance of the system. Without changing the application, the load bearing capacity of the system can be increased by increasing the hardware capabilities in fragments. Can the various components be installed on different machines? This tells you whether the application is extensible to take additional load if it needs to be extended for high volume and additional functionality? Extensibility also implies that, if new functionality can be added to the application without making any major changes. This will mean that, if you buy this solution and if you already have the earlier version of the application, if it will run with the earlier developed components or pose issues? A good COTS supplier will always make sure that the application they offer has backward compatibility. If it does not, it is not a good idea to buy its products even if the vendor is a market leader! Flexibility can be defined as the application’s capacity to configure as per the user’s requirements and allowing the user to change the code, looks, architecture and design. Flexibility offers lot of scope for making changes effective without worrying about how to do it. Is it possible or not? Mostly all open source technology provides enormous flexibility. E.g. struts and tiles framework using java MVC architecture. Adaptability is how well the application can integrate with other systems and applications, either existing or planned for future. Also reusability is kind of adaptability. Whether component developed are reusable? How good is the response of the system on submitting a request? How good is the CPU throughput and memory utilization? Is it suitable for real time application? What is the architecture adopted by the supplier to support high performance? How good is the maintainability? What is the support available from the vendor? How good is the documentation? What are the issues in maintaining the systems? Is maintaining the system an automated activity? How much time is required to maintain the systems on daily basis? If there is a system crash, how fast can the systems be up and running again? What is the data loss? Is there any fall back and recovery of data? How well is the system designed for simplicity of use? How easily can it be modified? How much time is required for any new development, enhancement or a change request? Is it simple to maintain? How many steps are required to configure the systems to localize the use? How good is the personalization feature? Has the principle of separation been applied? Are the business logic, presentation tier and database handling separated? Reliability is the most important factor which tells us, how sturdy is the system? Does it crash or throws exceptions very often? When does it throw exception? Are the reasons valid? Is the behaviour of the application stable or weird? All these factors are listed; their scores are calculated after applying appropriate weights. The total score and individual scores are compared for all the suppliers before making any procurement decision. Management can have a review meeting, sit together with the lead architects, and decide the strategic stack. The review can be done considering the business requirements e.g. A real time systems needs more reliability, performance, scalability, extensibility, simplicity and adaptability whereas, a static system needs more features, maintainability and flexibility. It is up to Management whether; they are dynamic enough to meet market demand, changes and evolutions. In IT, there are continuous upgrades and innovation taking place. To be a global leader, the organization has to always be on its toes to perform and stay competent. Industry has seen the success of implementing innovative solution in Supply Chain Management, Transportation & Logistics, Retail, Banking, Health insurance, Telecom and other domains. ERP, SCM, BPM, Portal, EAI, CRM, DW/BI vendors provide ranges of products with the latest features which makes technology obsolete in no time at all. Management has to be vigilant and sensible regarding what is happening in the market. Companies should have their Lead Enterprise Architects evaluating technologies all the time and seek their advice and suggestions. Bundling IT applications and solutions, and offering it to the internal and external client is an art. Proper use of budgets and agile & iterative methodologies will bring success to the organization. The benefits and the direction of management go hand in hand, if management is willing to invest. 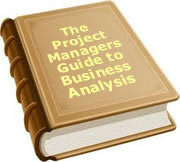 The author is currently working in a company known as, Tech Mahindra as a Project Manager in Mumbai. He has 15 years of industrial experience including 9 years in IT. He has handled fortune 100 clients and their service delivery for projects of varied range and scope. He has implemented various technology stacks and worked as an Enterprise Architect for different clients. To date, 23 people have rated this article. The average rating is 3.30 - Add your rating. Just select a rating and click the button. No other information required.